Fine Life Limassol offers services for supporting our clients through the management, planning, and execution of any type of transaction, helping them succeed in getting the deal they want at the most optimal price. At any stage of the development of your business – whether you are looking to set up, restructure, or expand your business – it is necessary to draft contracts and carry out major transactions, which require thorough financial and legal guidance. Letting a mistake slip in conceding a seemingly insignificant detail of the contract during negotiations, may incur serious financial repercussions in the future. Therefore, regardless of the nature of the transaction, businesses are obliged to set out their rights and the responsibilities of both parties, in the most detailed manner from the outset. Processing transactions in a legally competent way makes it easier to secure and protect your company’s interests. 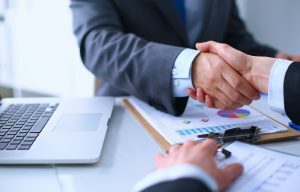 In such cases, it is more reliable to trust professionals, who have long-standing experience and deep-sector expertise in formulating transactions. For both current and future transactions, we will support and assist you on all procedures, from drafting contracts to project management of the whole process leading to the delivery of a successful result. We can deliver tailor-made offers if you provide us with your requirements.